Wayside signs were once a common sight along the railroad tracks and to some extent still are today. In the classic railroad era each company usually had their own style of wayside signs they used although one which became universal was the whistle post, usually a concrete post around 4 feet tall with a large "W" engraved or painted on it informing railroad engineers to begin sounding the whistle (in the diesel era it is the air horn) at that location. Today, if you pay attention to structures lining the railroad tracks you may notice signs that say "Begin DTC Block" or "End DTC Block" which simply refers to what type of dispatching system controls the railroad line. Wayside signs have long been an added communication device railroads have employed to convey a certain messages, especially those that are constant and should always be heeded once a train enters a certain area or location. 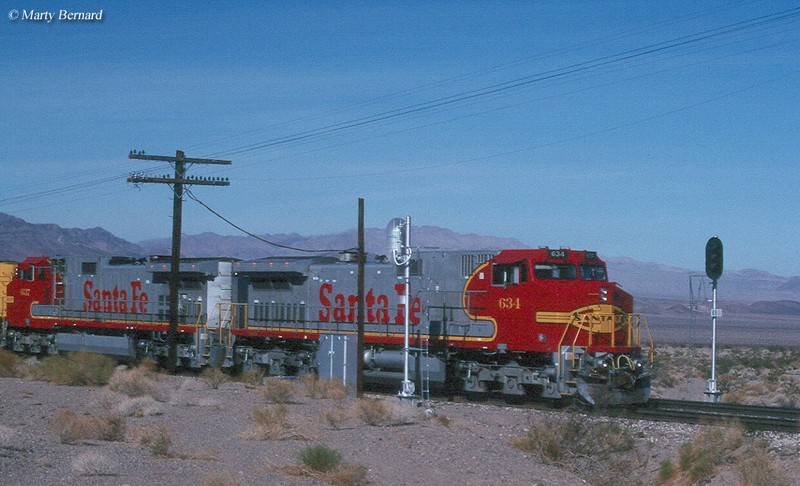 For instance, on approach to a railroad yard trains will usually pass a sign that says something to the effect of "Yard Limits" or "Now Entering Yard Limits", which means the train must always operate at a greatly reduced speed while inside the yard and always be on the lookout for other trains, cars, personnel, and switch engines (locomotives which work exclusively in railroad yards kicking freight cars). As mentioned above the whistle post is likely the most famous of the wayside railroad signs, indicating to the engineer when to sound his whistle. Other classic railroad signs include "Caution, Close Clearance" (for objects near the tracks); "Stop, Men At Work" (always blue these OSHA-mandated signs are still used for any location where men are working, usually on parked railroad equipment); "No Trespassing" (aside from the whistle post this is the most common wayside railroad sign, still used today by railroads to warn individuals to stay off of the tracks, away from bridges and out of railroad yards, basically any location where trains operate); and mileposts which simply let the train crew know exactly where they are along a line (i.e., such as Milepost 874.3). 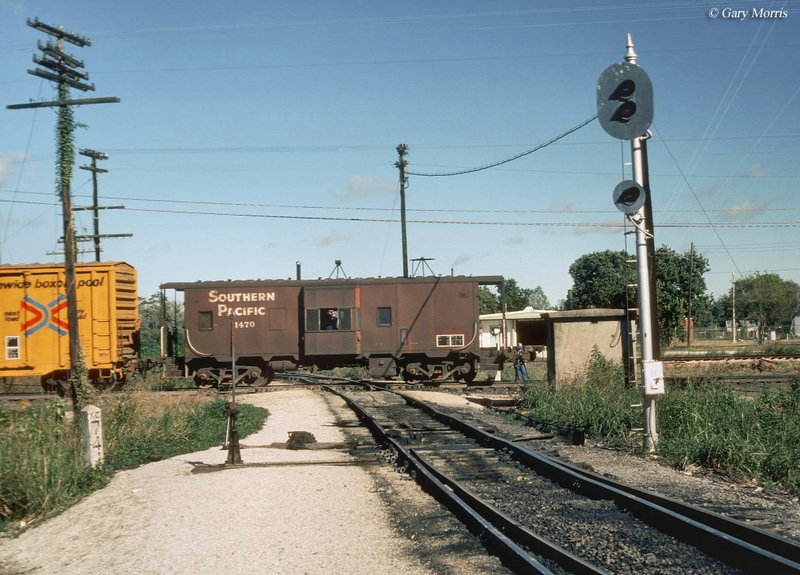 It should be noted that railroad signals should not be confused as wayside railroad signs, they perform a completely different function. 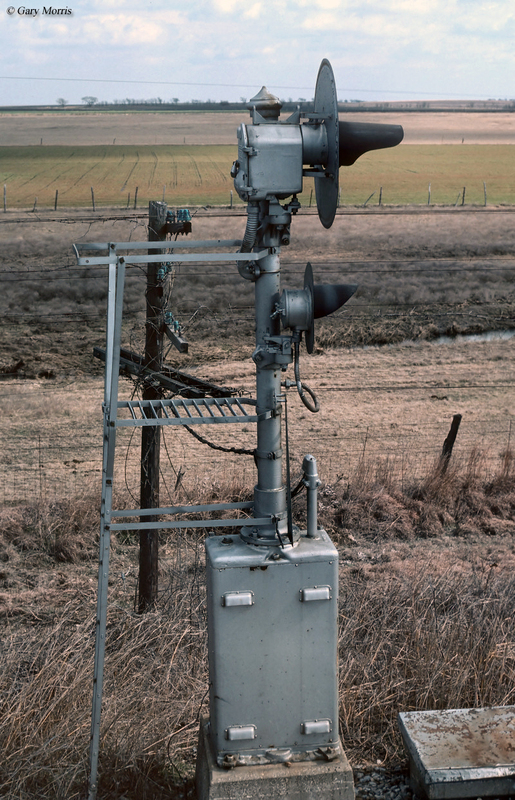 Railroad signals are an integral part of railroading, without them there is absolutely no way trains could safely operate, particularly on single track lines. However, more than just for safety signals allow for the efficient and steady flow of trains, enabling several to operate over a single-tracked line. Signals have their beginnings dating back to the industry's infancy itself with the famed ball-type signal. Perhaps, though, the most famous signal-type of all was the semaphore, which came into use in the mid-19th century and even today can still be found in regular service! While signal displays and meanings often varied from railroad to railroad some of the most common types were the color-light signals (or tri-lights), searchlights, position-lights, and color-position lights with the tri-light the most popular today. The first railroad signals came into use in 1832 on the New Castle & Frenchtown Railroad but really came of age in 1872 with the invention of the track circuit by William Robinson. This circuitry allowed for the steel rail's natural conductivity to be employed thus giving birth to automatic block signaling systems, the leader of which remains Union Switch & Signal created by George Westinghouse in 1881. Today US&S is part of Ansaldo STS, an Italian company. One of the less recognized wayside railroad signs are the quarter, half and three-quarter mileposts. Before the days of GPS and computer-controlled signaling systems these mileposts helped train crews gauge their location between each mile marker not only for purposes of knowing how close the train was to its destination but also in the event of an accident or derailment. Different railroads used different indications on these "less-than" mileposts. Some simply used fractional numbers (i.e., 1/4, 1/2, 3/4, etc.) while others like the Southern Railway used a series of dots and dashes to denote the meaning. In any event, all the signs listed here are certainly not every type that was used just a cluster of many of the best recognized. If you are interested in fallen flags and classic systems before the modern merger movement took hold I would suggest purchasing one, or all three volumes of Mike Schafer’s Classic American Railroads series of books. The publications feature a wealth of information and are loaded with coloredphotographs covering names like the Baltimore & Ohio, Santa Fe, Pennsylvania, Milwaukee Road, and lots more. 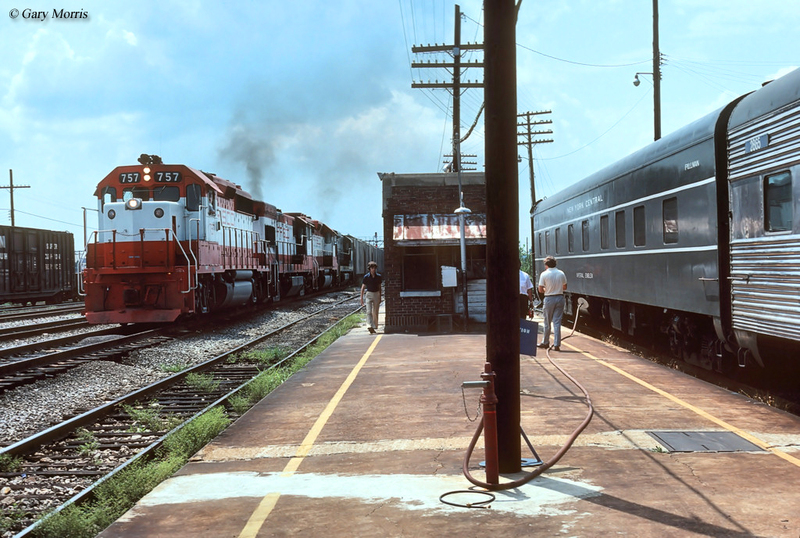 If you have any interest in most famous bygone railroads which once operated in the U.S. I would strongly recommend picking up one, two, or even all three of Mr. Schafer’s book. I truly cannot say enough just how enjoyable and fun they are to read and peruse through.